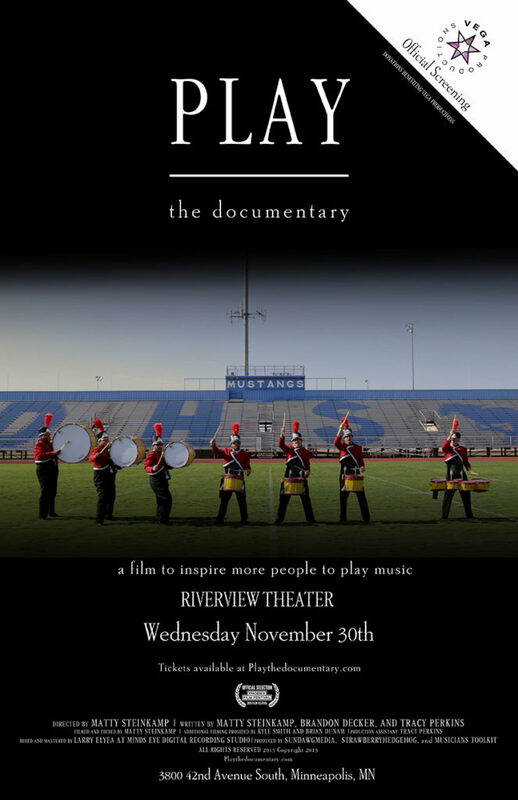 Vega Productions presents the Minnesota Premiere of Play The Documentary at Riverview Theater on November 30th. Proceeds benefit Vega Productions directly funding music education initiatives. The Riverview Theater is a gorgeous theater that will host our film for one special engagement event to help share the awesomeness of music. For more information on Vega Productions and how they are bringing access to music to our children in the Twin City area please click the links below. Provide resources to music educators and administrators that help increase access to musical instruments. WHAT DOES INSTRUMENTS IN THE CLOUD DO? For donors, Instruments in the Cloud makes it easy to donate a once-loved but no longer used musical instrument to a school music program in need. Donors can support a specific school or search for a need for the instrument they plan to donate. For teachers, Instruments in the Cloud provides a wish list feature, which allows teachers to quickly communicate their classroom needs. Program wish lists roll up into a dynamic, searchable database of need. Also for teachers and administrators, Instruments in the Cloud provides a free musical instrument inventory system that allows teachers to manage, track, and share instruments among programs and schools. The inventory system connects administrators and music teachers so they can view one another’s inventory and communicate to share the instruments they already have.